John Baldessari is an American conceptual artist. Born in National City, California on 17 June 1931, he currently lives in Santa Monica. He studied in San Diego State College, then at the University of California at Berkerley and the University of California at Los Angeles. He got a degree in Arts from San Diego State University and later on he did post-graduate work at Otis Art Institute, Chouinard Art Institute and the University of California at Berkeley. From 1967 to 2007, he taught Arts in different universities of California. The artist’s work can be seen as a constant evolution, starting simply and building upwards. His first pieces of art, produced in the late sixties, were ironic, funny and text-based. Those early major works were empty canvases with statements deriving from contemporary art theory. Baldessari then removed himself from the construction of the image and employed a more commercial, lifeless style in order for the viewer not to be distracted. 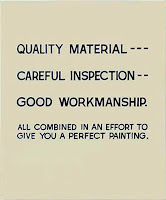 The words were then written by sign painters, in a simple typeface. 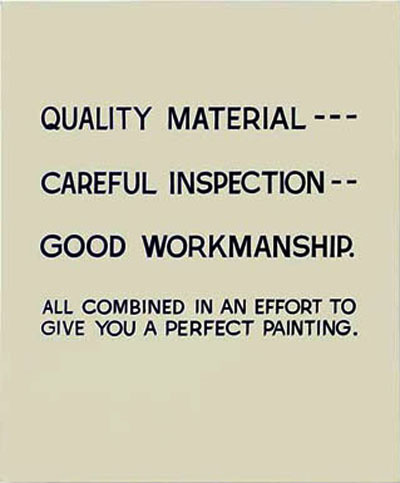 The word-only painting "Quality Material" is an example of a painting the creation of which he didn’t get involved in. One other technique used by the artist was to point at things people had to look at. He first chose a photo of a hand pointing at various objects and he later hired non-professional artists to paint the pictures. Under the canvas he added the title "A painting by [painter's name]". In this way, he remained responsible of the work as a kind of director of the project but he did not personally contribute to the realisation of it. In 1970 he burnt all of the works he had realized between 1953 and 1966, giving birth to a new piece, entitled "The Cremation Project". According to Baldessari, the ritual of cremation symbolizes the link between artistic practice and the human life cycle. During summer 2011, there was an exhibition at Manchester Art Gallery, called "11 Rooms". Documentation about Baldessari’s new project of contemporary art, named "Unrealised Proposal for Cadavre Piece, 1970", was displayed in one of the 11 rooms. 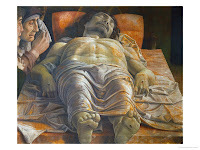 His goal was to recreate one of the paintings by Andrea Mantegna called "The Lamentation over the Dead Christ". 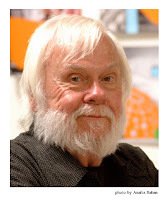 Unfortunately, Baldessari still hasn’t found a person who has consented to being part of the work. He has worked on this project for a few decades and there is still a chance that the work will be completed. However, it also raises a lot of ethical questions. By Andrew Denis and Gaëlle Masson.